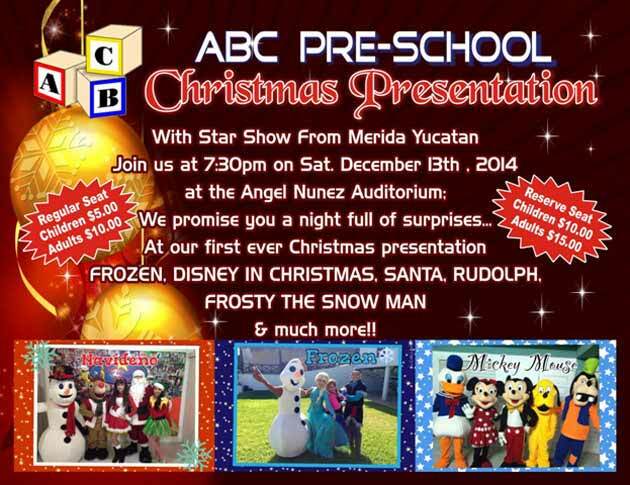 With Star Show from Merida, Yucatan, join the celebration on December 13, 2014, starting at 7:30p.m. at the R. Angel Nuñez Auditorium. The show promises to have lots of surprises all night long. It’s the school’s first ever Christmas presentation with characters from Frozen, Disney in Christmas, Santa, Rudolph, Frosty the Snow Man and Much more.